Description: Close-up view of Ben F. McLean Fountain located northeast of Douglas Avenue and McLean Boulevard intersection. Built to honor businessman and former mayor McLean, the lighted fountains were first turned on in 1935 and restored in 2001. Keywords: Wichita, parks, arts and entertainment. Description: View of fountains in A. Price Woodard Park located between Century II and the Arkansas River. The view is looking east. 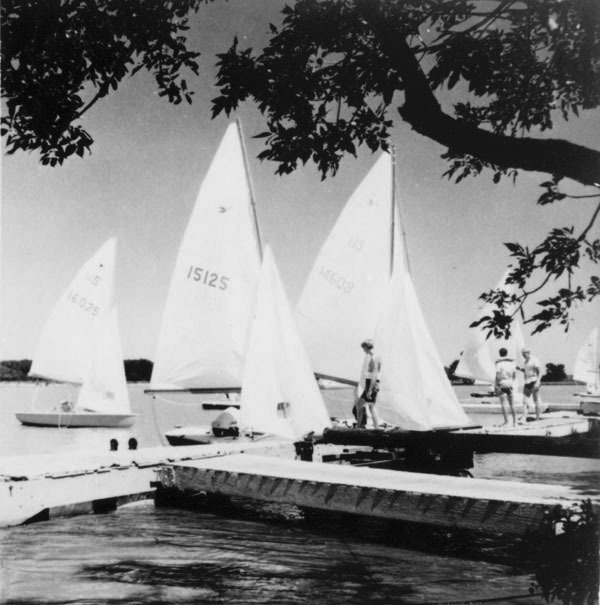 Description: Sailboats gathered at dock on Cheney Lake. Keywords: Sports and recreation, parks, summer, boating, Wichita, Sedgwick County, Cheney Kansas. 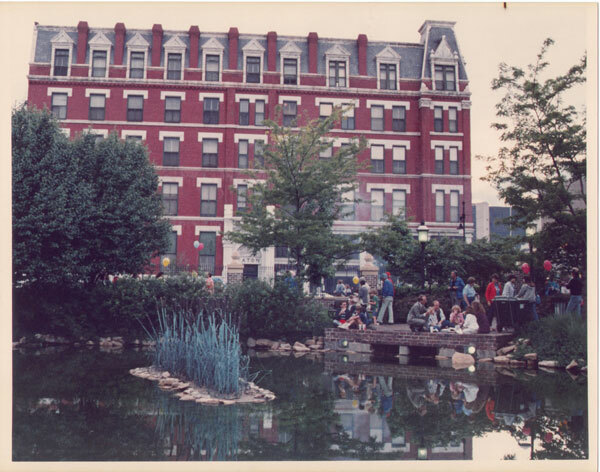 Description: View of Eaton Hotel from Naftzger Park on the south side of Douglas Avenue at St. Francis Street. Keywords: Wichita, parks, business and industry, people, public events, Naftzger Park, Eaton Hotel, Carey House, hotels, architecture.